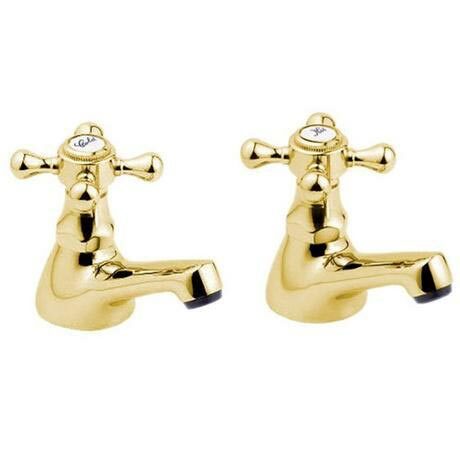 These gold taps, part of the Tudor range from Deva have a luxury and striking finish. Built for lasting quality and timeless style, these gold taps will give your bathroom the beautiful finishing touch it deserves. Think about pairing these stylish gold taps with a classic traditional basin for a luxury art-deco look. Q. Do u sell individual gold/brass taps as I am only looking for one for a small sink! Hi. Please use our search bar and type in 'gold taps' this will show you all of our fantastic range of gold taps. We bought a pair of bath taps at the same time, they worked properly from the start but these bath taps were so firmly locked shut, that it took disassembly of each tap and careful use of two spanners and cloths (so as to not mark the new taps) to release them from this 'locked' position, the whole process for both taps took over 30 minutes - not what I wanted after a long day of DIY work including fitting the difficult of access bath tap connections! Just what I wanted - in fact they were the same as what I was replacing. Service was excellent and the products arrived earlier than expected.